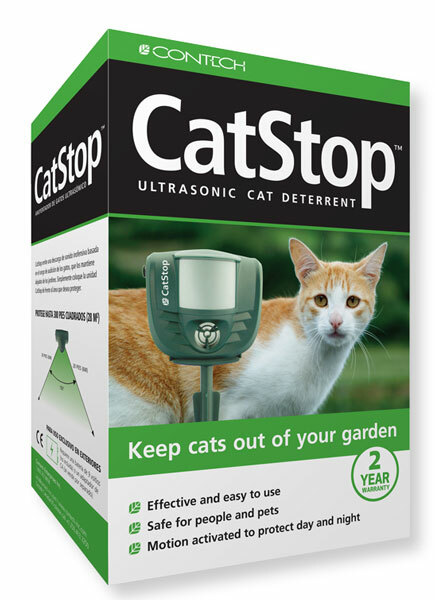 could this be placed by the dog door to keep the indoor cats from using it to get outside? The product literature states that it is for outdoor use only and not for indoor use. For indoor use, the Stay Away is recommended, which we do not currently carry. It basically is motion activated and gives a blast of compressed air. The problem we had is that anytime it sensed motion, even from people, it would trigger and was very annoying. Dogs would simply play with it. We had too many returns. That's why we don't carry it. I don't know of anything else that would work indoors for cats.